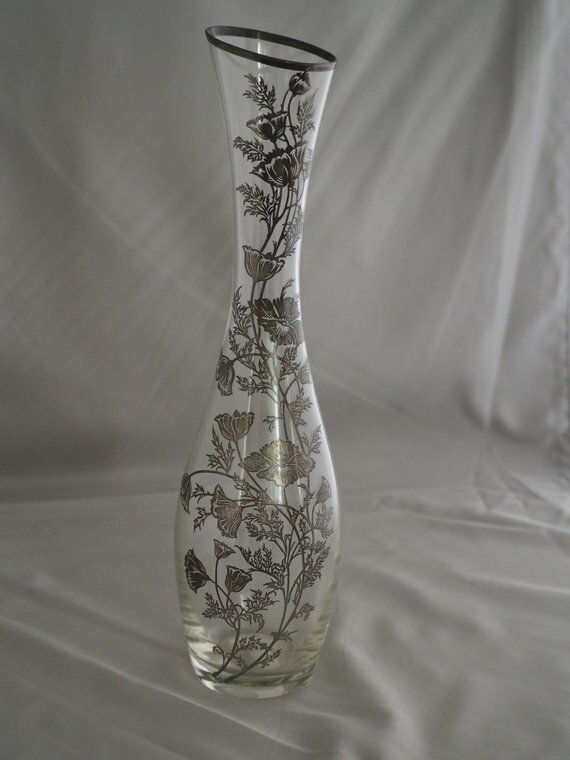 Glass vase with intricate and detailed floral pattern silver overlay. 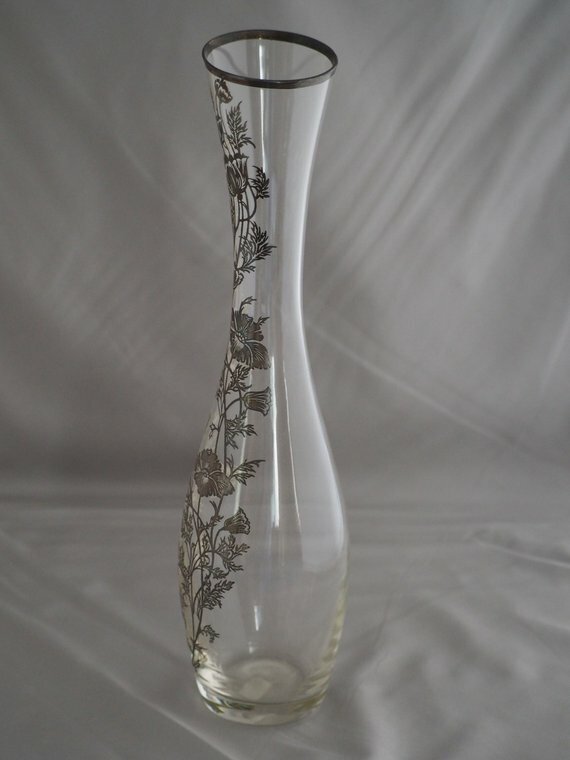 The overlay pattern extends the entire length of the vase, but only on one side. The lip of the vase has an overlay around the entire circumference, and is tilted at an angle. The vase is 12 3/4 inches tall. At the base it is 2-1/2 inches in diameter and 3-1/4 inches at its widest point. It weights 13.4 oz.